Many Sagittarians are desperately unhappy in 9-5 office situations because they have low boredom thresholds and resent authority. Ideally, they will make their living doing something hands-on and physical, or in a job that provides variety and intellectual stimulation. Anything involving books, animals, education, holistic medicine, religion, sports, travel, or other cultures and languages is favored. Sagittarians are good under pressure and don’t mind a little (or a lot of) excitement on the job. They usually prefer a fulfilling and interesting career to one that pays well. Sagittarians should avoid careers that call for tactfulness and diplomacy. While they can be charming, they are not known for their politeness or restraint. The ideal career for Sagittarius will offer some degree of flexibility, as Sagittarians hate rigid schedules and dull routines. 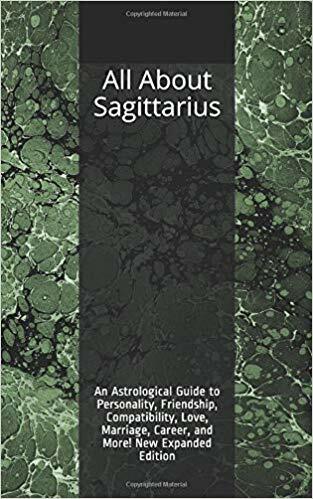 For more on Sagittarius, see Sagittarius Personality Profile, Sagittarius Love and Friendship Style, Famous Sagittarians, and Sagittarius Marriage and Compatibility. For a full list of astrology articles, see the main Astrology page.